Taken in the very early 1900's. Shop #2, shown on right, was completed in 1902. 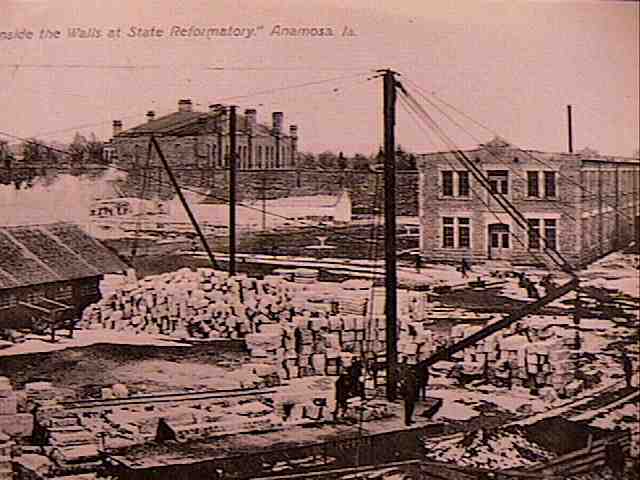 The stone-cutting yard is shown, and the old Insane Department towers in the background.